White marble sand is a result of crushing marble rocks. 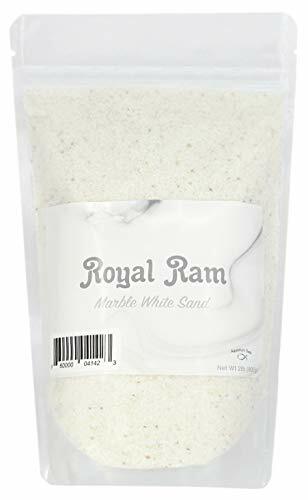 Unlike most white sand that are coated with colors, this is 100% natural. Pet Habitation Purposes: Safe for most aquarium and pet habitats, we recommended that it be washed and rinsed few times. Please note Marble may raise fresh water pH level. Use with caution. Decorative Purpose: A great addition to any vase, arts and projects! 100% Natural white marble sand. Natural crushed marble sand, not coated with any color. Safe for most aquarium and pet habitats. Safe for sand boxes. May also be used as play sand. 100% Satisfaction Guarantee. We stand by our products.